August 1989 almost 23 years to this day the first ever projection on the big screen of the caped crusader, Tim Burton had finally brought to us his vision of Batman..
Our protagonist is introduced as well as his minimal origins drawing from his alone upbringing showing us the death of his parents, who in this adaption the killer of which was in fact The Joker. 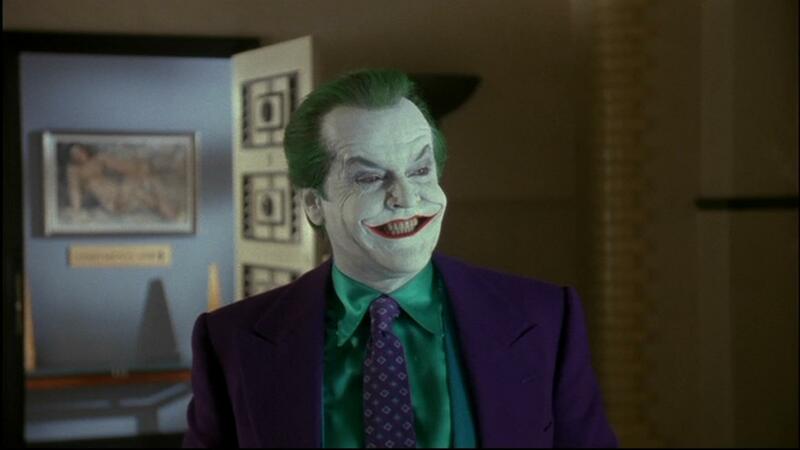 What a Joker we would be introduced which up until 2008 was the most showman of a villain portrayed in this version by a certain Jack Nicholson, who showed us his acting origins by revealing to us a sick and stand out individual. Tim Burton had cast a hell of a villain and as the protagonist Michael Keaton who Burton had worked alongside in BeetleJuice almost unrecognizable as I feel he played Bruce Wayne suitably, not too lavish or undermining the role but somewhere in the middle. Up until that time many in the popular culture had seen Keaton as a comedic actor and this was quite perhaps his first serious role, Burton had entrusted him for the role of Batman, and he did not disappoint by that much of a margin. The direction of Tim Burton was felt throughout this film including the casting of the astonishing Jack Nicholson as The Joker in which he played brilliantly, he was madcap as well with a hint of evil genius, but this role cast upon him did come with heavy negotiations from the actor himself but they sure as hell paid off with the film grossing over 250 million dollars domestically it was the 3rd highest in the Batman series of seven feature films. Tim Burton would then go on to direct which was again up until 2008 quite possibly the best film in the series with “Batman Returns”. 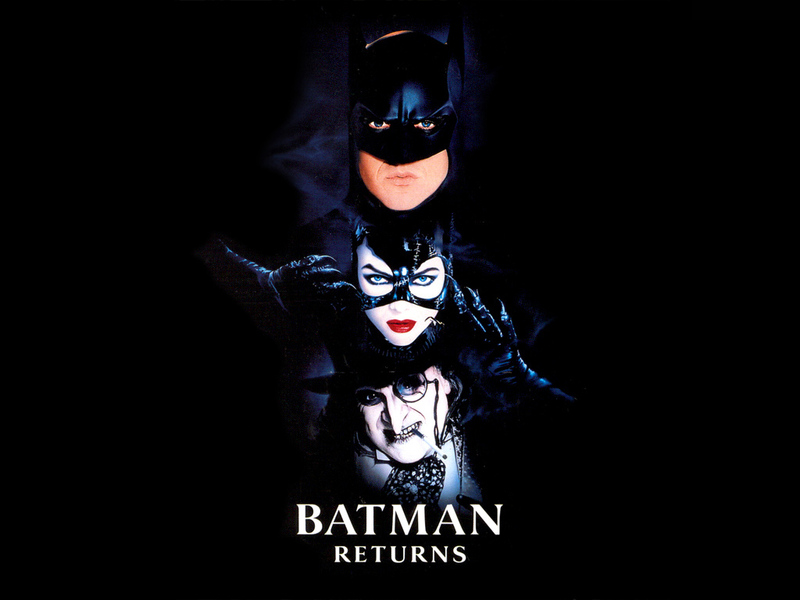 At this time the sequel was much more darker and atmospheric, Tim Burton applied the same aesthetics as he did in his first film but this one had two other villains to work with the memorable Michelle Pfeiffer as Catwoman and the brilliantly cast Danny DeVito as The Penguin, superb as in the sense of being an intense arch villain of Batman, it seems Tim Burton does bring out the best in his actors. Michael Keaton had reprised his role as Batman and once again delivered a suitable performance of the crusader but this time he had more to work, more in the sense of two villains but more importantly Catwoman who brought out certain sides of Batman we did not see in the first film. Their chemistry on the screen is of that of a sexual tension and by belonging to identities behind masks, they would be seen as behaving much more differently behind them, more freedom to express them and delivering to the spectators and the audience a great insight of the two characters. As we all know though we are reminded that we are still watching a Tim Burton film and the darkness descends on us pretty quick with the terrifying Penguin making his presence known throughout the film, we are saddened by his origins but at the same time unaware of what he is capable of doing and what is in his power to do as the main villain in this feature. All in all Burton provides us with an unsettling Gotham as well as disturbing and memorable characters which surround the city, Batman certainly has his hands full in this film squaring off to both Catwoman and The Penguin. The curtain slowly came down as Burton would leave us with two very distinctive and dark Batman films which he left his own directorial trademark and signature upon them, in three years’ time another Batman film would come along shadowing both of these films but not in the most best of sense..
Joel Schumacher would come along in 1995 with a hardly unrecognizable Batman film which he spun around his own way, adding comic elements and over the top exaggerative sequences in “Batman Forever”. 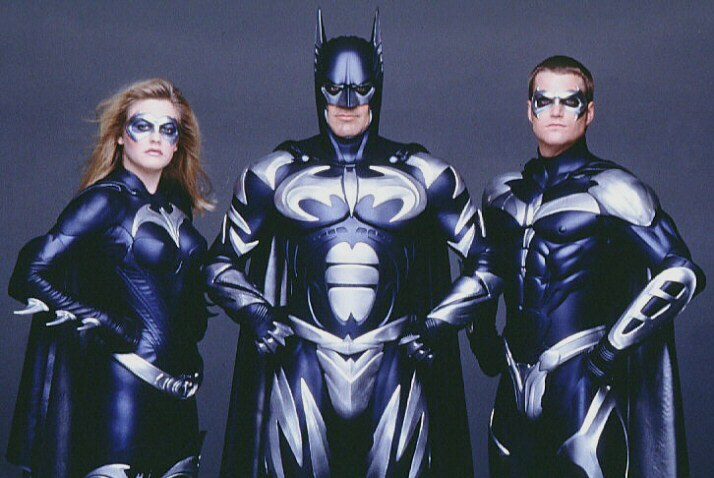 Joel Schumacher spins the Batman franchise on its axis in the most extravagant way with bright visuals and wacky camera angles he gives us a Batman played well by Val Kilmer alongside quite a recognized cast including Nicole Kidman as his love interest and great villains as described in the comic books. The direction that Schumacher had taken had forced Michael Keaton to drop out of his third Batman outing as he did not like the direction Schumacher was going, but what he achieved was appealing to larger audiences. The audiences of the previous two films would find this one quite disappointing, as the dark tones had turned brighter and the characters themselves jumped off the screen but were being forced back by the spectators of the two first Burton Batman films. Jim Carrey had lent his wacky acting quite well to The Riddler to me he was just acting himself but in a bigger environment where he was not necessarily the core character. 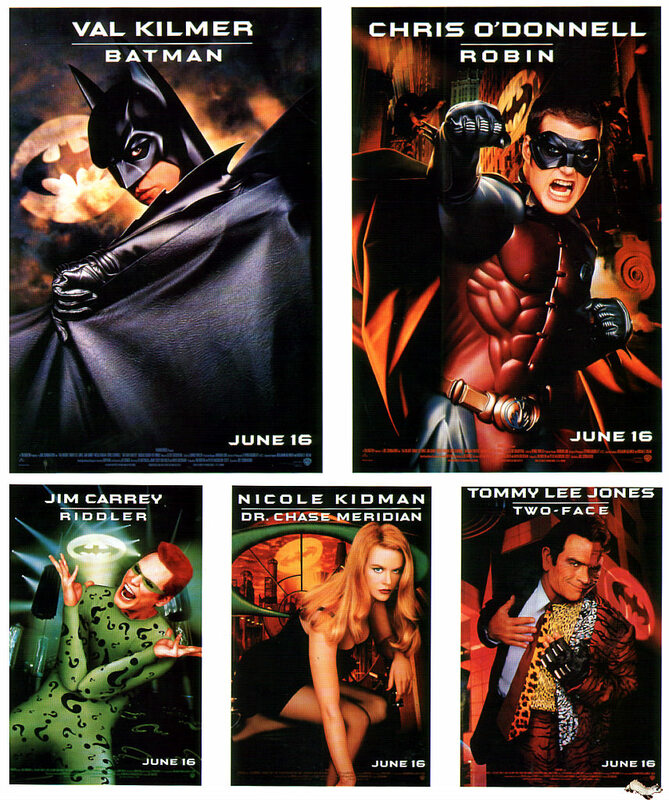 Robin had been introduced as a role but the mixture of different characters, villains and heroes set amongst a comic and excessive backdrop had made this Batman film a memorable one but under the genre of comedy less than action. Tommy Lee Jones had been assigned as Two Face quite well but the combination of him and The Riddler may have looked well on paper but was executed poorly, you wonder what these two are doing on the screen playing off each other, you question if Schumacher had assigned the correct villains for this but the chemistry between them had made this Batman film into a theatre of a film with unnecessary and extreme comical overtones. Just when we thought Schumacher couldn’t do any worse along came the next eagerly awaited Batman film, and it was certainly the least memorable of all, with George Clooney who had played a well-known doctor on television show had now stepped into Batman shoes and delivered a performance unlike no other but not in a great sense. There isn’t much to say about this Batman film it was the least successful in the box office and the least of all favourite with the critics as most of them had buried this film. Villains such as Mr Freeze, Bane and Poison Ivy had been introduced and with the inclusion of Robin and Batgirl this still did not make it a feature to see in the slightest. So where does the Batman series go from here, so far it had produced two brilliant adaptions, a mediocre one and shameful last, the right director needed to come along and propel Batman on top again and make him the comic book hero he really truly is. We would familiarise ourselves with Nolan from his past films such as Memento from which he was well known for, people who had not yet experienced the enigmatic experiences of Nolan would familiarise themselves with Memento and see what he had in mind for Batman Begins. A somewhat complicated director in the best sense who challenges the audience to think for themselves and offer audiences and spectators alike with their own point of view on topics within his films, that’s Nolan’ style challenging his audiences in the greater sense so they are free to make their own conclusions. 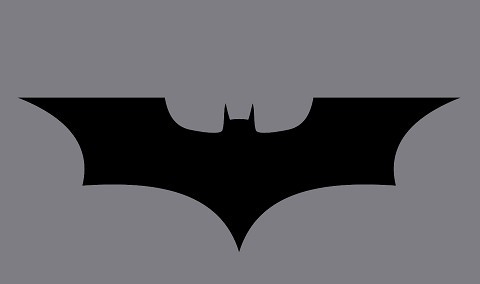 The Batman reboot had started with “Batman Begins” in 2005 who gave Batman the origins he truly deserved, drawing from his childhood of losing his parents and overcoming the fear of bats. Nolan had introduced David S. Goyer the writer who had lent Batman his dark history so we could really see the birth of the great caped crusader as told by Goyer, the result would be an immaculate background which will have extinguished all previous Batman films with Nolan’s reboot that Batman had needed. In this film we are shown how Batman had acquired his Batman skills as taught to him by Ducard as portrayed by Liam Neeson, he takes Batman under his wing and teaches him about the injustice and corruption which plagued cities around the world including Bruce Wayne’s Gotham City. Bruce Wayne’s world had completely been shattered at the loss of his parents at a young age and Nolan does not hesitate at all in showing us in perhaps a scene which lasts less than a minute but still has a strong impact on us-the shooting of his mother and father. Over the years Bruce Wayne matures as a consciousness and a fighter and slowly he encompasses the skills and mental thoughts of a Batman who we have been waiting to see for a while, a hero who had been described in the original comic book adaptions and graphic novels. The villains in which Batman had to thwart in this film existed both internally and externally, as he had to battle his demons within him and also facing challenges from Scarecrow played by Cillian Murphy who frightened us in ways he could manipulate people fear’s through his hallucinogenic drugs. Gotham itself is pictured quite futuristic but no flying vehicles or extremely tall skyscrapers, but in a sense it had given us populated city that was filled with crime and corruption, Gotham really needed a hero and Batman would make one hell of an introduction in this targeting Carmine Falcone played by Tom Wilkinson, already Nolan had graced us with home grown British acting talent offering an interesting array of actors to engulf us in his own version of Gotham along with Liam Neeson and Cillian Murphy previously stated. Guided by Bob Kane who had created the characters and David S. Goyer who came up with the story & screenplay, all that it needed was Nolan’s personal writer’s touch to engage us and his direction to give us its deserved visuals. Our attention was certainly grabbed, this film may not have performed well in the box office grossing just over $200 million domestically but it certainly caught the attention of critics and had revitalised fans of the crusader both former and new, where Nolan had taken this film in its sequel was certainly and what importantly had been dubbed as a game changer. Christopher Nolan had introduced us to a version of Gotham City and its characters and it was very hard to take our eyes off it, in 2008 such a sequel would come along that it had become a benchmark for ALL comic book adaptions and comic book films. “The Dark Knight” just by me typing its title is sending me goose bumps as I write, never before had such a film leaped so highly of its origins, this was a film that would make us forget the Batman we once knew and give us a Batman film that we would immortally remember and an antagonist that would cement his place in film villain folklore. The pulsating and unpredictable orchestral brilliance of Hans Zimmer would deliver to us along with a Nolan spectacle unlike anything we had ever witnessed, just by the sheer magnitude and scale of this feature every other Batman film that ever existed would be put to rest. This film delivered a timeline of epic brilliance and a storyline along with a plot that literally was a graphic novel that had leapt on the screen and had encapsulated us ever so strongly. 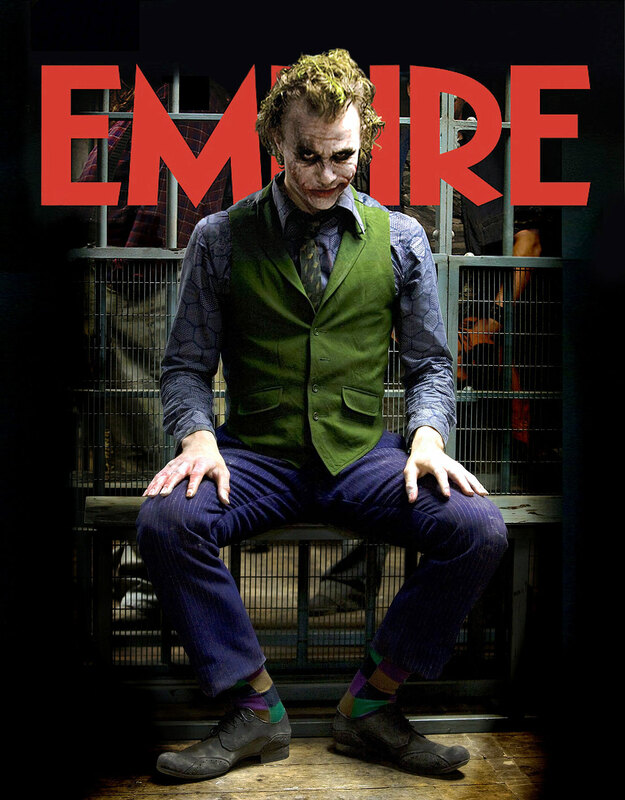 The Joker would deliver us a noteworthy performance that would shadow Nicholson’s version of The Joker in the first Batman which begs the question was this Batman film or a film that was brilliantly rotated around the Joker. So far Batman had never faced such a villain, he wasn’t the most physical but he sure had a mental capacity that would define him as a criminal mastermind for years to come, he had played with the idea of Batman’s views on justice and also had destroyed his meaning as a superhero, we hadn’t witnessed such a downfall of Batman since he lost his parents, Batman had come a long way but he would soon find the path that he came across with an obstacle in the magnitude of The Joker. 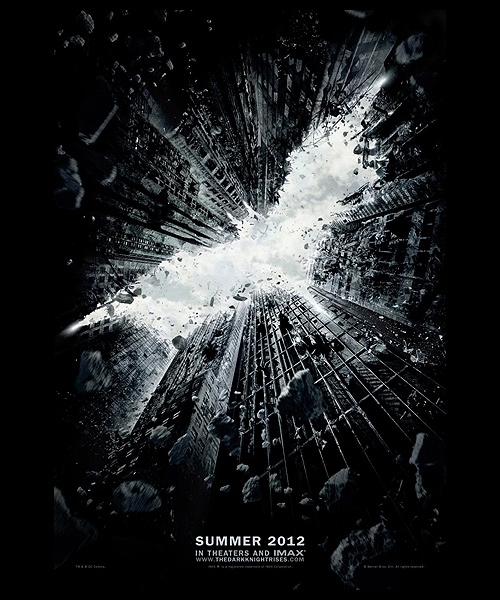 Our expectations of this sequel had been over exceeded, none of us were expecting a spectacle like this, but those who did definitely did not know how to react to an environment unlike this one and the characters this film had produced would question our reality and perception of comic book and graphic novels of the Batman. Nolan had made a gigantic leap igniting comic book films and creating such a benchmark of a film nothing would closely touch it, this would become the film that all other had looked upon for inspiration in terms of storyline and phenomenal villains. Batman had gone from a dark atmospheric content led by Burton to a grand scale cataclysmic majestic showcase that would rival anyone who dared to remake their own Batman after this series known as The Dark Knight series which would see a phenomenal conclusion in four years’ time which would close the curtain to a sight a comic book trilogy that would rival any comic book adaption that would dare line up against the Batman series. Nolan would bring the curtain down in absolute spectacular fashion, in “The Dark Knight Rises” he would bow out in a way that would leave us applauding for a lifetime. 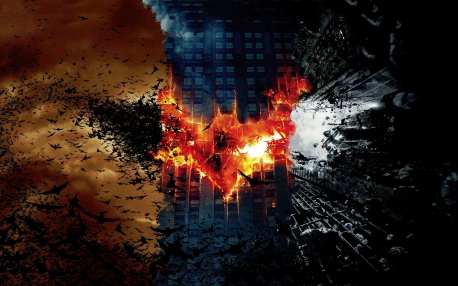 The final film in the trilogy would see Batman come face to face with Bane and would introduce a character previously seen before twenty years prior as Catwoman. Set around eight years after the first film we now see a different character of Batman, he has aged and may not have the skills he held prior which makes us question his capability to face off to Bane. His physicality would be tested to the max and would see him battle more of his inner demons. Some of us would question the end of Batman here, he had come a long way in Nolan’s remake and in fact as a whole after all this is the evolution of Batman in motion picture, a character who had gone from a television show in the sixties to having himself perceived in three different film directors ways, that of Tim Burton, Joel Schumacher and Christopher Nolan. Three directors who have very different directing styles and who each added their own element and their vision of what their ideal Batman would be in their casting choices. Tim Burton had given us an atmospheric Batman that distinguished himself from Bruce to the costumed hero, he had given us styles as featured in his previous directorial styles of the Tim Burton effect, with orchestral sound and gloomy environments, although he had directed two fine films I still would have liked to see how he would have approached the third if he ever chose to have directed back then. Instead of that the Batman character had been transferred to Joel Schumacher who had delivered us a comic Batman not in a sense of comic book style but one that wasn’t taken seriously more in fact in Batman & Robin and less in Batman Forever, quite perhaps because he hadn’t taken his time to discover the real Batman and his origins. Christopher Nolan though had delivered us a Batman we all had eagerly anticipated to see and witness, he had given us real challenges and villains to truly test him and the setting at which we saw him was of sheer brilliant greatness. Just when we thought we had truly witnessed his end Nolan gave us a reason to see why Bruce Wayne and Batman would become immortalised forever simply we did not want to see him suffer and deceased at the hand of his villains. The true rise of the Dark Knight was sure accentuated when Nolan had given him the choice to live on and offer an absolute fantastic conclusion to such a memorable and exceptional trilogy. All seven films would go on to gross in domestic total over $2.6 billion dollars which meant that Batman had come a long way in terms of motion picture history, during the last 23 years we had seen a Batman grow and evolve. Notably because of the directors and the people that were in charge of bringing him to life and none more so than Tim Burton who had given him the dark origin he deserved, Joel Schumacher the extravagant and over the top style he did not need and Christopher Nolan the eternal, everlasting watchful protector that DC Comics had given him along with the vision of Nolan and the people who had worked to give us a true character portrayed by Christian Bale. As far as the evolution of Batman in motion picture history goes never before have we witnessed such a worthy series of films dedicated to the undying and unending legacy of The Batman.